This is according to the a new study into the detainees of the centre. 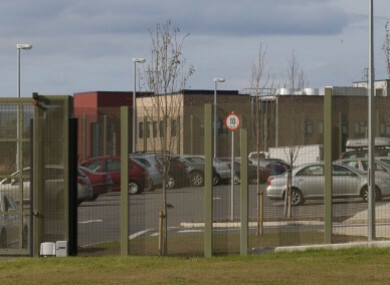 OVER HALF OF the young people detained in Oberstown Children Detention Campus have a “mental health need” and one in eight have substance misuse problems, a study of the detainees has found. The survey is the first of its kind in the campus and it was conducted over the first this months of this year. “As well as offering insights into offending and sentencing, the data highlights the level of adversity and trauma young people have experienced, including the loss of parents, neglect and abuse, and multiple care placements,” the report said. A total of 69 young people, all male, between the ages of 14 and 18, were detained in Oberstown during the time the survey took place. Of the 69 males, 46 were Irish (66%), 16 were Irish travellers (23%), four were EU nationals (6%), two were African and one was of mixed ethnicity. A total of 38 of the young people (55%) had a mental health need, the report found. Of these 38, a total of 22 had a past or current diagnosis of attention deficit hyperactivity disorder (ADHD) and another 17 were classified as having child protection concerns. A total of 22 of the 69 males had at one time been prescribed medication (almost exclusively for ADHD). Meanwhile, 78% of young people in the centre were considered to have substance misuse problems and 37% had self-harm concerns. Almost half (42%) of the young people were considered to be at risk of abuse or neglect. Prior to detention, there were children protection concerns in regard to 29 of the 69 males. Of the 29 with child protection concerns, the risk came from within their own families for 25 of them. Furthermore, 17 of the 29 had previously been in care and three had a significant involvement with Tusla. 54% of all the detainees had suffered the loss of one or both parents either through death, imprisonment or no long-term contact. In one case, both parents had died. Prior to detention, a striking 49 young people had not been engaging in detention. Just 10 young people were found to have been in education, while a no information was available for a further 10 of the detainees. Of the 49 not engaging in education prior to detention, 32 had exhibited challenging behaviour and 41 had substance misuse concerns. Of all detainees, 36% had some form of a diagnosed learning disability, and for a further 23%, there was evidence of learning difficulties. “The findings here confirm that young people in detention have a wide range of complex needs often requiring a holistic, multi-agency response,” the report said. By understanding the origins, needs and trajectories of these young people, it is hoped that the necessary services and interventions can assist them to move on from their offending behaviour. Email “Oberstown: Almost half of children detained in centre at risk of abuse or neglect”. Feedback on “Oberstown: Almost half of children detained in centre at risk of abuse or neglect”.